Men's 6mm wedding ring with bevelled edge flush set with 12 x Round Brilliant Cut diamonds, with a partial satin finish. 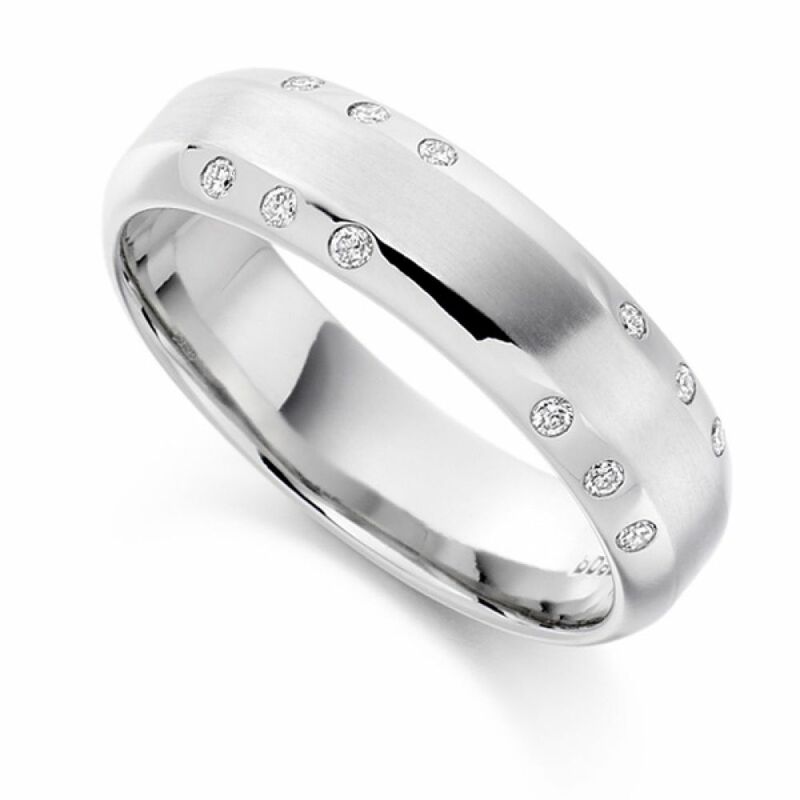 A distinctive Men's diamond set wedding ring, which holds 12 individual round brilliant cut diamonds with a total carat weight of 0.15 carats. The VS1 clarity, F colour diamonds are expertly channel set into the 6mm band which has a comfortable flat court profile. This design has bevelled edges and a Partial satin finish. There are several precious metal finishes available that can be selected from the drop down menu on this page. Each ring is crafted to order so please allow 4 weeks for delivery. The stylish ring will then arrive to you meticulously presented in our bespoke packaging, ready for your big day.